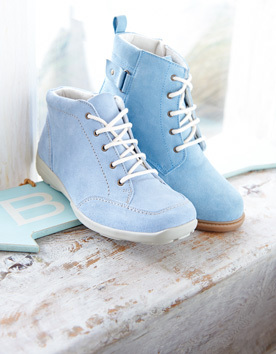 Welcome to our NEW Spring Collection with exciting new designs offering style AND comfort for wider feet. Browse our chic range of espadrilles here. Enjoy wearing stylish, flat shoes in the new season metallics. Browse our wide range of super-comfy loafers - perfect for Spring. Fabulous strappy sandals in wide fittings! 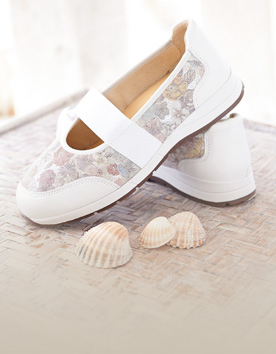 Get ready for sunshine in our stylish new designs - with comfy cushioned insoles. 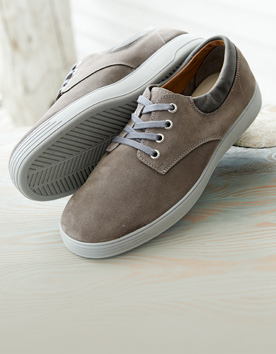 Our Lesiure Collection for Men offers the ultimate in comfort and fit with casual, sporty styling. 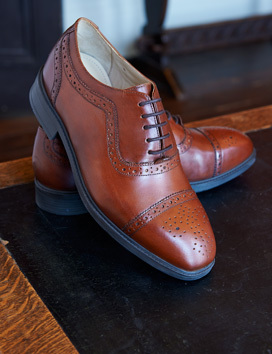 DB Wider Fit Shoes, established in the 1920's, specialises in the design and manufacture of Wide Fitting Footwear. Many of the shoes in our Collection are made in our Rushden factory, by craftsmen with over 25 years experience and an eye for detail. Look out for the symbol denoting manufactured in England - see below. Why buy wide fitting shoes from us? We have over 100 years experience designing and fitting shoes, and we're here to help. Click here for Wider Shoe Fitting Advice or call us 01933 311077 (Monday - Friday 9.00am - 5.00pm) for assistance on your fitting. 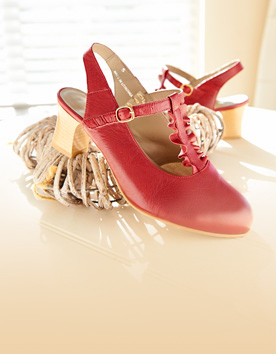 Or visit an independent retailer stocking our shoes - available nationwide. Our shoes are made by experienced craftsmen using a mixture of traditional skills and the latest robotic technology. Look for the Made in England flag for the shoes made in our factory. Get all the latest information on Sales, Events and Offers. Sign up for the Wider Fit Shoes newsletter today. Please enter a 2 character State code. Please remove the Web Site Address from the text. It is not possible to show this image. Please click on a tick to choose a style/colour. Please try again in a few seconds. You have chosen an address which may have changed your delivery options. Please check your basket total. Logging in has added previously selected items to your basket. Please check your basket contents. Please check that your voucher discounts are still as expected. You do not need to use this voucher. You have [x] remaining on voucher . Our offices will be closed for Christmas from Midday Friday 21st December and will re-open at 9.00am on Wednesday 2nd January 2019. As always, you are welcome to browse the website at your leisure and place orders on-line. Orders will be processed as normal when we return on the 2nd of January. You can e mail us with any queries at enquiry@widerfitshoes.co.uk and we will deal with your enquiry on our return. The Shoe Fitting Centre at our factory in Rushden will be closed from the 23rd December, reopening on the 27th December and then closed on Tuesday 1st January 2018. The Shoe fitting centre does not open on a Sunday but will be open 10.00am - 4.00pm operating a 'bell system' (please ring the bell on arrival and a member of staff from the upstairs factory shop will come down and attend to your needs) during the rest of the holiday period. We would like to wish all our customers a very Happy Christmas and a Joyful New Year.